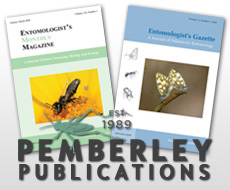 The content of the Pemberley Natural History Books website is provided for general information and is subject to change without notice. We strive to maintain the accuracy and timeliness of the information provide on the website but we exclude liability for inaccuracies. All books are offered subject to prior sale. Availability: Many new books are kept in stock for immediate dispatch. For those not in stock at the time of your order, an indication of expected delivery time is given, both on the website and on your order confirmation. We cannot guarantee to supply books which are not in stock as they may go out of print, or become otherwise unavailable from our suppliers. Any advance payment for goods we are unable to supply will be refunded to you within 30 days of notification that we are unable to supply. Pricing: Prices may be subject to change without notice, due to publishers' price increases, exchange rate fluctuations, or other unforeseen circumstances. We will, however, always inform you of any price increases before orders are invoiced and dispatched and you will have the option to cancel orders at this point. VAT: VAT (sales tax) on books in the UK is currently 0%. Other goods, DVDs, CDs, etc. are standard rated for VAT (currently 20%) and prices shown on the website are inclusive of VAT. For customers outside the EU, and EU customers providing a valid VAT registration number, VAT will be deducted automatically from the price of standard rated goods during checkout. Postage: Prices shown do not include postage and packing. For orders placed through the website postage charges are calculated based on weight, value, destination of the parcel and the service chosen. You may view postage rates here. We reserve the right to vary postage charges from those calculated, but you will always be informed if this is necessary before your order in invoiced and dispatched. We will usually dispatch your order in as few parcels as possible to minimise postal charges, but if some items are not in stock when your order is placed and you prefer to have books sent separately, as they become available, you may select to have the order part shipped. In this situation the postage charges may be higher than those calculated during the ordering process, but you will always be informed of this before the books are supplied to you. Orders for books which are not yet published will be treated as separate orders, and postage will be charged accordingly when the books are dispatched. Delivery estimates are given with your dispatch confirmation. Parcels sent on a standard service within the UK are usually delivered within 2-7 working days; to Europe within 5-14 working days; and to the rest of the World within 7-28 working days. If you have not received your books within this period from the date of dispatch, please contact us so that we may make enquiries. Parcels rarely go missing, but sometimes do get delayed in the post. In such cases we will make every effort to trace parcels which have not arrived. In the rare event that goods are found to have been lost in transit, we will either endeavour to supply replacements for the missing goods, or if this is not possible, provide you with a refund. Pemberley Books will not be held liable for any consequential loss resulting from delay or failure in delivery of goods. Customs charges: Goods being sent to countries outside the EU may be subject to customs clearance charges and import duties. Any such charges are the responsibility of the customer and are beyond our control. Cancellations and Returns: You may contact us at any time before goods have been dispatched to cancel your order. Any payment already made will be credited to your account within 30 days. Damaged, defective or incorrectly supplied goods may be returned to us if we are notified within 14 days of receipt. We will replace the goods or, if this is not possible, will refund your payment on receipt of the returned goods. We will reimburse reasonable return postage costs for items which are damaged, defective or incorrectly supplied. You may also return books for any other reason within 7 days of receipt for a refund or exchange. This does not apply to DVDs or CDs which have been removed from the manufacturer's packaging. The cost of the goods will be credited to your account with Pemberley Books on receipt of the unwanted items, in the same condition as supplied. You may then apply this credit to a future purchase, or request a refund. Please contact us to arrange returns. Books should be well packed and are sent at your risk. External Links: Our website may include links to other external websites, which are provided for your information. Pemberley Natural History Books makes no endorsement of these sites and is not responsible for their content. Copyright: All design, text, graphics and the selection or arrangement thereof are the copyright of Pemberley Natural History Books. Material may be electronically copied and printed solely for the purpose of placing an order with Pemberley Natural History Books. Any other use, modification, distribution, or republication without the prior written permission of Pemberley Natural History Books is strictly prohibited. Force majeure: Pemberley Natural History Books shall have no liability to you for any failure to deliver goods you have ordered or any delay in doing so or for any damage or defect to goods delivered that is caused by any event or circumstance beyond our reasonable control. Governing Law: The contract between us shall be governed by and interpreted in accordance with English law, and the English courts shall have jurisdiction to resolve any disputes between us.